‘Sweet Infidel’ by Jamaica’s Zoya Taylor was selected this week for the first prize Award at the 2015 International Juried Exhibition of The Center for Contemporary Art, New Jersey. 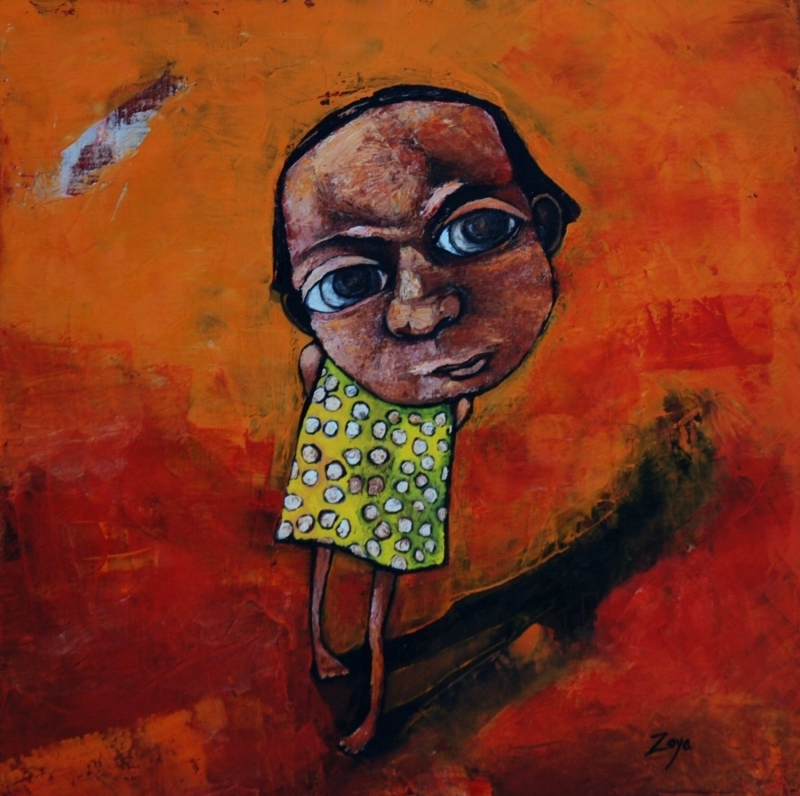 In the painting she uses one of her wide eyed characters with skinny bodies which have become her trademark. 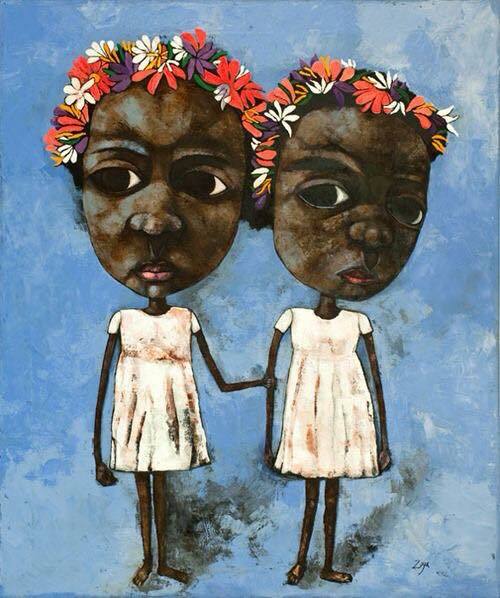 Zoya Taylor was born in Vancouver, Canada; grew up in Kingston, Jamaica; and now lives in Norway. She is the daughter of a Jamaican father and a Canadian mother. Although she took drawing classes as a child and always had a desire to be an artist, she focused on full-time painting only ten years ago. 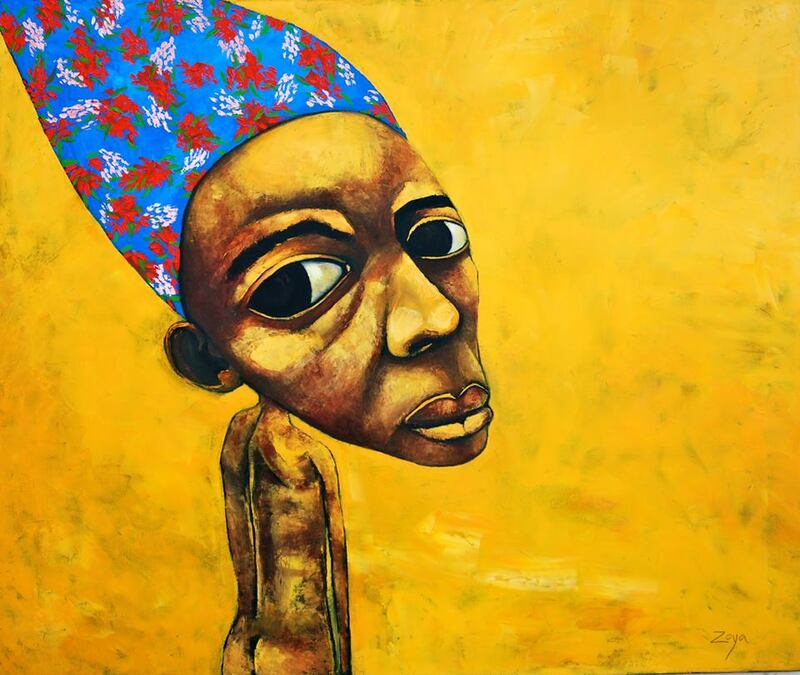 “I do not paint portraits but rather the odd and marginal characters which fill the spaces in between. They communicate the different facets of humanity. My cast is the cast of misfits; they are immigrants found between cultures, continents, languages and disciplines” – Zoya Taylor. That is why her characters have a worldly but innocent look; and that is why they are emotional. In her series, running now for ten years, Zoya Taylor’s characters have been known to feel it all: anger, shyness, love, insecurity, everything. 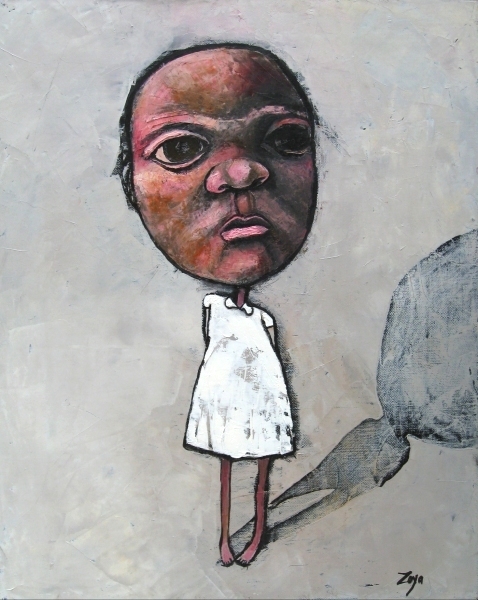 Her work has been exhibited in the USA, Norway, Germany, Italy, Spain, England and Jamaica. The exhibition in New Jersey’s Center for Contemporary Art showing her ‘Sweet Infidel’ opens on November 6th 2015 and runs to December 12th 2015. It is due to Michel-Jean Cazabon’s paintings that we have a fair view of Trinidad’s way of life in the 19th century. 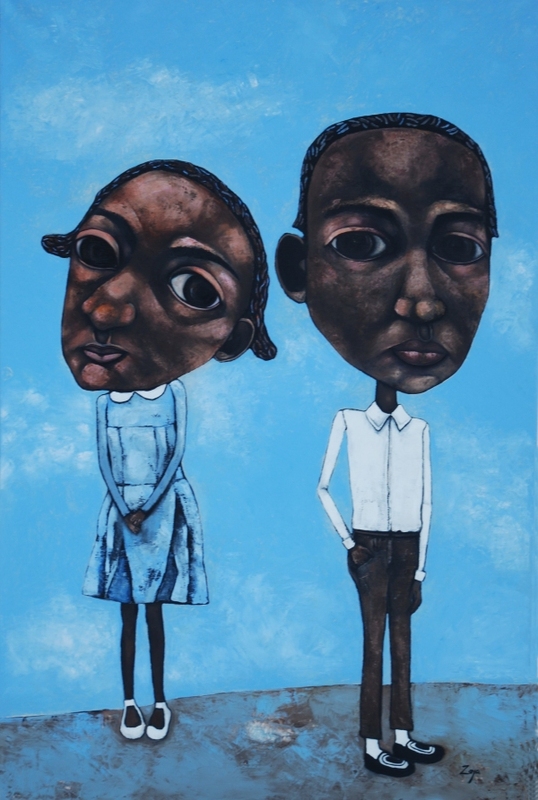 Nowadays he is generally regarded as one of the Caribbean’s first great painters. But in his time, Trinidad born Michel-Jean Cazabon (1813-1888) was appreciated more in Europe than in his country. Michel-Jean Cazabon came from a rather wealthy family of free colored immigrants from Martinique, who owned a sugar plantation. At the age of 24 he was sent to Paris to study medicine, where he decided to concentrate on painting. Cazabon started painting under Paul Delaroche, a leading painter of that time in Paris. He soon became popular as a society painter of Trinidad scenery; and of portraits of planters and merchants of Port of Spain. 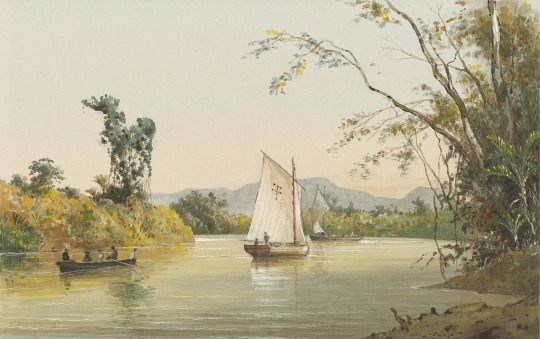 It is due to his paintings that we have a fair view of Trinidad’s way of life in the 19th century. In England and France his work was much admired and he won several awards and medals at exhibitions. His first exhibition was at the Salon du Louvre in 1839, followed by expositions every year from 1843 to 1847. Back at home his art was much less appreciated. Disillusioned with life he became a drunken eccentric. After his death in 1888, Cazabon’s style gained more recognition in the region and his influence grew. Today he is considered to be one of the first great painters of the Caribbean. His work is appreciated for the rich details and for the use of light and shadow. His scenes of a clean, natural and unspoiled Trinidad show a country as it was before the heavy industrialization of the twentieth century.To many Trinidadians the scenes are familiar, creating a tremendous sense of nostalgia. Cazabon’s paintings can be seen at The Louvre in Paris and at the National Museum and Art Gallery in Trinidad.